Haldiram Kaju Pista Roll the recipient savour the taste of these delicious Haldiram Kaju Pista Roll 1/2 kg. (Gross Weight). A perfect gift for perfect people. 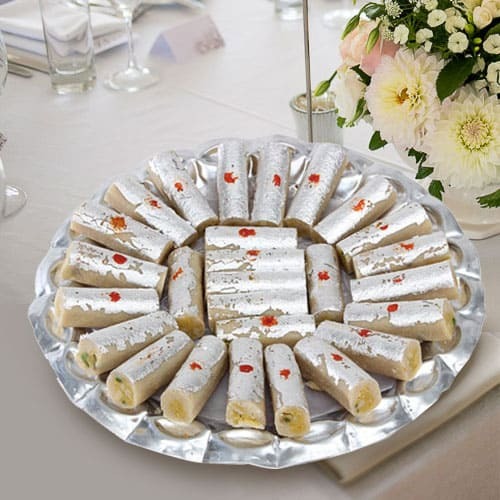 Haldiram Kaju Pista Roll Let the recipient savour the taste of these delicious Haldiram Kaju Pista Roll 1 kg. (Gross Weight). A perfect gift for perfect people.